Careme’s – Academy of Culinary Arts (5100 Black Horse Pike, Mays Landing NJ) – since 2010 AVS hosts 5-course vegan dinners as events on choice of 2 nights (due to max capacity 65-70 each). Culinary students prepare and serve the meals under the direction of their chef-educators. Vegan has become part of their curriculum, at least once each semester. 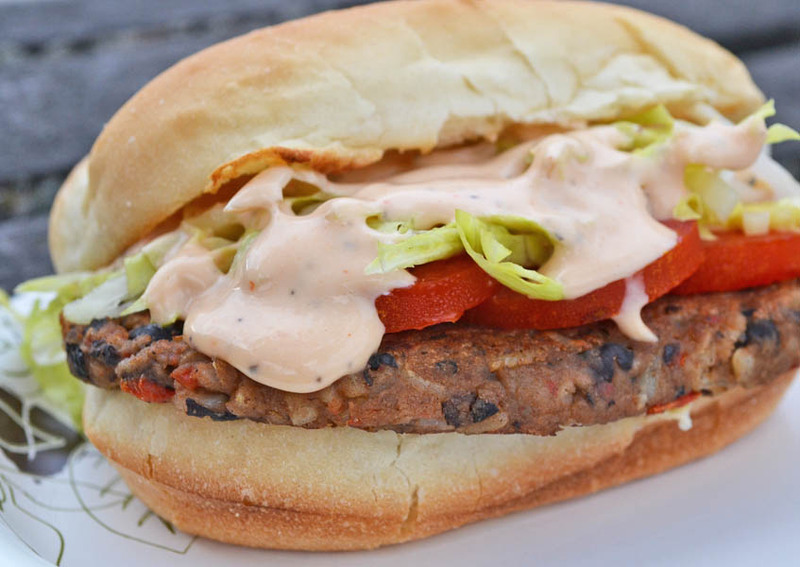 Bruni’s Burgers (432 N High St, Millville NJ) – September 10 2016 introduced a homemade beanburger for VegStock Moving Vegan Festival. Wildflower Vegan Café (501 N High St, Millville NJ) – cohosts many vegan educational events with AVS such as Taste of Millville, Millville Progressive Dinner 2016 & 2017, movie nights, etc. Now offers a separate extensive vegan menu. Eric’s Restaurant & Pizza (98 S West Ave on corner with Chestnut, Vineland NJ) – 5-course vegan meal on Feb 24 2015 for 61 people to celebrate Vegan Cuisine Month. 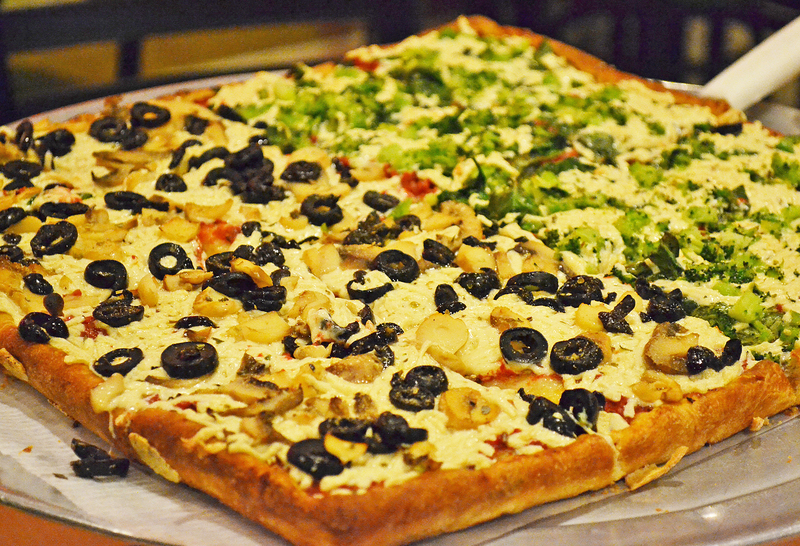 In spring 2016 made first vegan pizza available in Vineland with vegan cheese, offers numerous vegetable toppings, removed all eggs from their pizza dough. 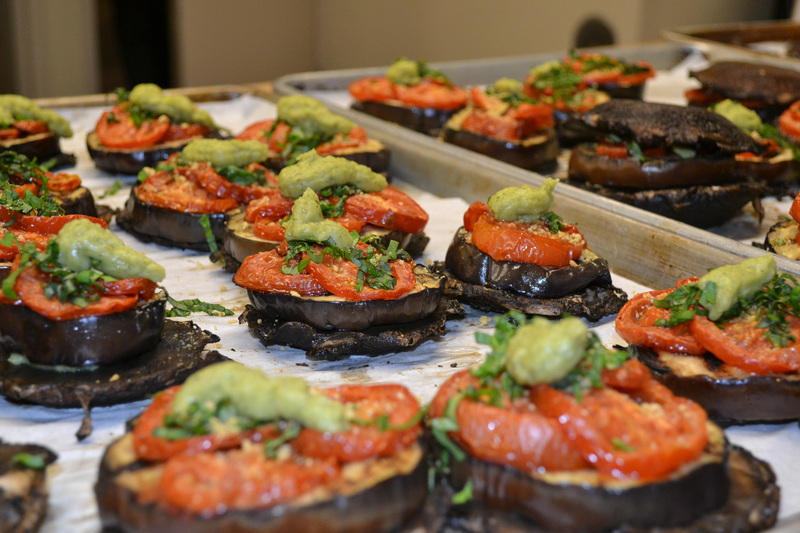 Michael’s Mediterranean Cuisine (2 LaSalle St, Vineland NJ) – 5-course vegan meal on June 14 2015 for 50 people. February 12 2017 AVS hosted a sold-out, nine-item buffet dinner to enjoy some of the items on the new separate extensive vegan menu! Domus Fare (41 W Main St, Fredonia NY) – main course for Fredonia Progressive Dinner 45 people on October 15 2016, often features vegan specials, added vegan pancakes. Ellicottville Brewing Company – West (34 W Main St, Fredonia NY) – appetizers for Fredonia Progressive Dinner 45 people on October 15 2016. Fredonia Showcase Dinner debut of 4 items February 28 2017, 41 people attended. Multibeanburger is currently a good seller added to the menu which changes seasonally. AVS pilot projects predominantly in communities with poor health and/or low income. The Vegan Cuisine Initiative is designed to help independent restaurants learn, embrace, offer, and publicize vegan food options. Multi-course dining events AVS hosts at restaurants celebrate new items on the menu! AVS is excited to seek matching grant donors to the $2500 pledged by A Well-Fed World. To donate to Vegan Cuisine Initiatives click the DONATE button or send a check to AVS, PO Box 369, Malaga NJ 08328 or phone 856-694-2887.